Drivers in the Oklahoma City area have many different options when it comes to choosing a collision center. In the unfortunate event of an accident, your car may require extensive body work before it is safe to be driven on the road again. It is very important that you choose the correct collision center to take care of this work. The Bob Moore Collision Center is factory authorized and staffed with fully certified and experienced technicians. We also have plenty of experience working with various insurance companies to reduce the hassle and amount of paperwork that you have to worry about. Instead of bringing your car into a local car body shop, bring it into the collision center at Bob Moore INFINITI. We’ll have it good as new before you know it. To make sure you get your car fixed up the right way, you want to bring it into a collision center that’s staffed with fully certified and experienced technicians. All of the technicians at the Bob Moore Collision Center are highly experienced and properly certified. They can work on all sorts of collision damage on cars from all major manufacturers, not just INFINITI models. If you go to a small, independent collision center in the Oklahoma City area, you run into the chance that the technicians don’t have the experience you can be confident in when repairing your kind of car. Leave your car in the capable hands of the trained and experienced technicians at the Bob Moore collision center. The collision center at Bob Moore INFINITI is fully factory authorized. To achieve and maintain a factory authorization, the collision center has to maintain the highest standards of customer service and quality of work. Also, all of the technicians have to be fully certified, as previously stated. Additionally, the collision center needs to be fully stocked with the latest equipment that will make doing high-quality body work faster and more efficient. The factory authorization that the Bob Moore Collision Center holds is a sign of quality that independent car body shops simply can’t match. Bring your vehicle into the fully factory-authorized Bob Moore collision center today for the highest quality work. Working with your insurance company to get them to pay for the repairs in a collision can be a real hassle. Body shops that do not already have established relationships with insurance companies will make you do this yourself. The Bob Moore Collision Center has established working relationships with major insurers. We can work with your insurance on your behalf and take care of most of the hassle so that you don’t have to. 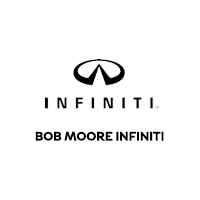 Come see us at the Bob Moore INFINITI Collision Center today and ask us any questions you may have about working with your insurance in the event of a collision. Drivers in Norman and elsewhere in the Oklahoma City area can bring their vehicle into the Bob Moore INFINITI Collision Center today for high quality and quick work. Our state-of-the-art service center and our technicians are fully certified, so you know we’re going to take good care of your vehicle and get you back on the road quickly. For more information, you can call us at (405) 749-9050 or email us through our website today. If you need collision work, don’t hesitate to bring in your car and we’ll have it good as new in no time.